President Pierre Nkurunziza returned to Burundi on Thursday, his office said, after the army chief declared that an attempted coup staged when the east African leader was abroad had failed. Mr Nkurunziza said he had come back on the Burundi presidency Twitter site. Meanwhile the army general mutineers who had attempted to overthrow the president have been arrested. But bursts of gunfire in the capital and fighting for control of the state radio during the day indicated there was still determined opposition to the president, who sparked protests and the coup attempt by his move to seek a third term. But before announcing his return, loyalists of the president said they were in control of the major strategic assets, such as the airport and presidential offices. They also said they still controlled the state broadcaster despite the heavy fighting. “President Nkurunziza is back in Burundi after the attempted coup. The coup was launched by Maj Gen Godefroid Niyombare, a former ally of the president, on Wednesday after Mr Nkurunziza travelled to Dar es Salaam, Tanzania’s largest city, to attend a summit on the crisis. Nkurunziza was in Tanzania at a summit of African leaders on Wednesday when Major General Godefroid Niyombare, who the president sacked as intelligence chief in February, declared he was dismissing the president and his government. A day later, Army Chief of Staff General Prime Niyongabo said the coup had failed. “Loyal forces are still controlling all strategic points,” he said in a state radio broadcast. 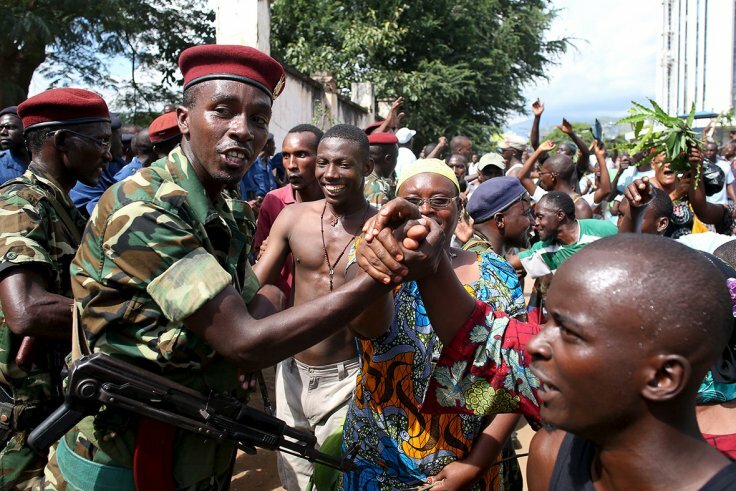 The announcement of Nkurunziza’s return suggested the government was now back in effective control, although periods of relative calm in Bujumbura on Thursday were broken by bouts of gunfire. By evening, the city had a semblance of calm. A Reuters witness saw one dead soldier lying near the Interior Ministry.